LiFePO4/Lithium Ion/Lead Acid 400W Battery EBike Charger. 12V20A, 24V12A, 36V8A, 48V6A, 60V5A, 72V4A, 84V3A. Li-Ion Battery Charge Voltage = 4.2V x the number of cells in series; LiFePO4 Battery Charge Voltage = 3.55V x the number of cells in series. 1. AC Input Voltage: 90Volts~132Volts or 200Volts~264Volts. 2. Charge Voltage: battery pack charge voltage. 3. Charge Current: vary with the charge voltage. 12V20A, 24V12A, 36V8A, 48V6A, 60V5A, 72V4A, 84V3A. 4. AC Plug: your country's Standard. 5. Battery type: LiFePO4, Lithium Ion or Lead Acid. 6. 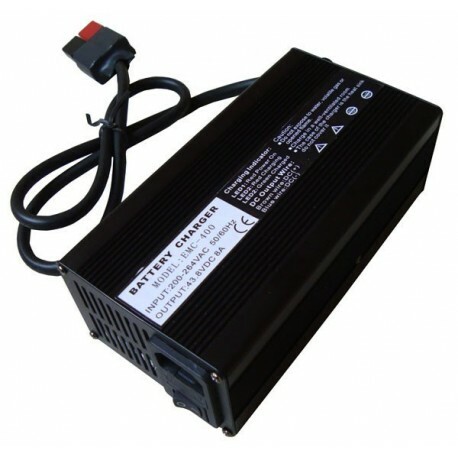 Battert normal voltage and maximum charge current: 12V20A, 24V12A, 36V8A, 48V6A, 60V5A, 72V4A, 84V3A. 7. Li-Ion Battery Charge Voltage = 4.2V x the number of cells in series; LiFePO4 Battery Charge Voltage = 3.55V x the number of cells in series.